Produktinformationen "Contemporary Korean Theater: Beyond Tradition and Modernization"
The 1970s in Korea were times to begin to see the establishment of Korean theater’s identity and development of contemporary characteristics in terms of theatrical aesthetics. This book examines Korean theater from the 1970s up to the present. The focus of this volume attempts to examine original Korean plays written and staged by Koreans, as opposed to translated works. This book opts to illustrate the narrative of contemporary Korean theater based on each decade from the 1970s to 2000s. It is because in consideration of the phases of change with regard to theater or sociocultural aspects in Korea, which shows natural demarcation by each decade. Korean theatre prior to the 1970s is outlined in chapter one. Real theater culture in the Western sense began in Korea towards the end of the 19th century, and Korean theater up until the 1960s largely revolved around the imports and imitation of modern plays from the West. In chapter two deals with Korean theater in 1970s. The 1970s were a period featuring the recovery of theatrical identity and enthusiasm for experimental styles. Modernization of tradition is a recurring theme for contemporary theater in Korea this time. The chapter three deals with 1980’s Korean theaters as a symbol of political resistance which engulfed in the anti-dictatorship movement. The chapter four introduces Korean theater of the 1990s which embroiled into the waves of postmodernism: the sense of liberation in sensual images and deconstructive wit, body and object. In chapter five is about the plays that returned to the fundamentals of language and text emerged on the stage to depict daily life in the smallest details. As Korean original theaters replaced translations since 1970s, the major factors behind this change in trend are as follows: increased interest in unfair social realities and the active expression of the desire to portray the lives of the general public. Although the theatrical scene in Korea now has problems on its bipolarization and the attenuation of small-scale original theater produced by private theater groups, Korean theater culture will play the role to overcome such problems and to make creative streams. 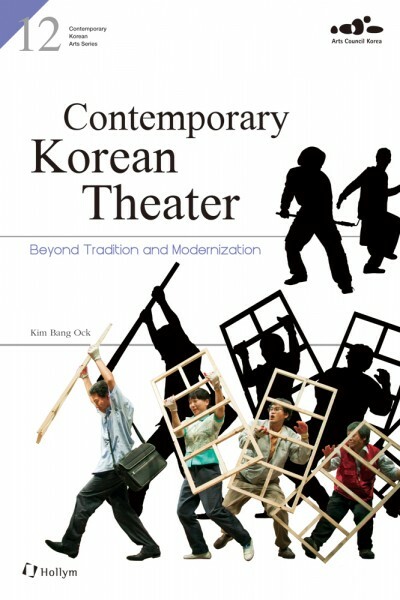 Weiterführende Links zu "Contemporary Korean Theater: Beyond Tradition and Modernization"
Unser Kommentar zu "Contemporary Korean Theater: Beyond Tradition and Modernization"
Kundenbewertungen für "Contemporary Korean Theater: Beyond Tradition and Modernization"